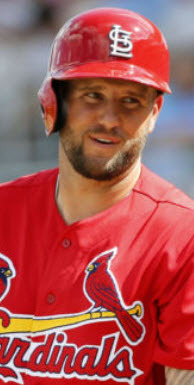 Pop Quiz: Who leads the 2010 St. Louis Cardinals in Hits, Batting Average, and is tied for first in Runs scored during Spring Training? If you said Nick “The Stick” Stavinoha, you would be absolutely correct…and probably a bit surprised. Stavinoha leads in hits…[but] I’m not sold that TLR wants to carry 5 outfielders given Lopez’ and Schumaker’s availability. Subject to change, I’d project the bench as LaRue, Lugo (if healthy and not traded), Lopez (if not starting at 2B or 3B), Mather and Craig. It’s hard to envision both Craig and Stavinoha on the roster due their defensive limitations, especially Craig. Again, I reserve the right to change my mind. I’m sure you know Stavinoha currently leads camp in hits. Let me say that I agree with Joe – I think Stav’s limited defensive flexibility is his Achille’s heel – but I don’t like it. After watching our early exit in the 2009 NLDS, our inability to get key pinch hits has stuck with me like bad seafood (and I hate seafood). Already, the 2010 team has been identified as lean on bench reliability and high on inexperience. Both makes a role player off the bench all the more valuable. 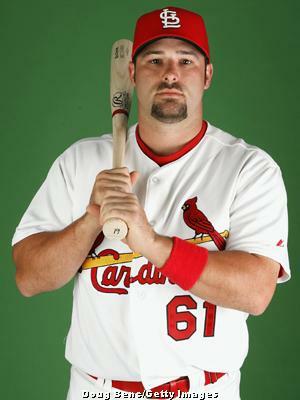 Defensive versatility and power off the pine is all well and good…but we NEED a pinch hitter we can rely on. I think Stavinoha is that guy. In 32 at-bats, Nick “The Stick” has 14 hits, a .438 average, 6 runs scored, a home run, and just 4 strikeouts. The man is a hitting machine. He’s out-pacing every other hitter in camp, and he’s doing it regardless of position or situation. The man is definitely making the most of his extensive game time and at-bats. Nick rarely flashes anything like Mather power or Craig pop, and he can’t switch hit like Lopez…that’s not his style. For Stavinoha, it’s just about hitting. It’s not fancy and it’s not earth shattering. It’s just plain and simple “see the ball, hit the ball” baseball. 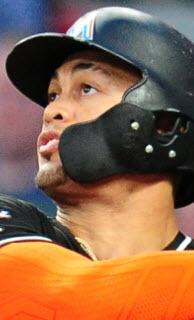 As he showed in limited time in 2009, a hitter like that has a certain value off the bench. He’s a trusted pinch hitter in late inning RBI situations. You want a power threat? Call Craig off the bench. 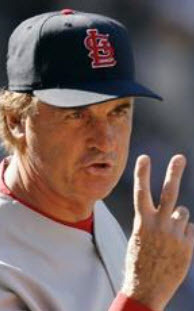 You want a guy who can counter the lefty/righty match-up mind game? Call Lopez. You need a guy to start sporadically at multiple positions? Mather’s your man. But you need a guy at the plate when you absolutely need a hit…you call Nick “The Stick” Stavinoha. Much has been made about Stavinoha versus other, more versatile options. Mather can play all three outfield positions and both corner infield spots. He’s on. Craig can play the same except for center field. Plus, both hitters offer significant power at the plate. But Stavinoha…he’s limited to first base (sort of) and a range-limited corner outfield spot. Of course, he can play an emergency catcher if needed…but that won’t get you on the roster. So, how do you justify keeping him on the team without sacrificing either of those players? Well…you have a couple options. The first option is not a pleasant one (especially considering our bullpen’s right-handed conundrum right now), but it is an option. We eliminate a pitcher from the bullpen roster. 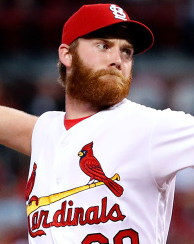 If we end up breaking camp with reliable options in the ‘pen, we might be able to pull this one off. Of course, a situation like that likely means McClellan is back in the ‘pen despite showing excellent results in the rotation. Given Hill’s wild and wooly performance today, I don’t like the idea. And honestly, the idea of breaking camp with Boggs as one of 3 available righties in the ‘pen (with Franklin reserved for the ninth) makes me a little sick at my stomach. Okay…let’s ditch this idea right now. We just can’t risk exposing our bullpen in such a way. The second option is easier said than done, but it is my preferred method. We trade Lugo. My preference would be for right-handed relief, but beggars can’t be choosers. Look…Lopez has made Lugo obsolete. 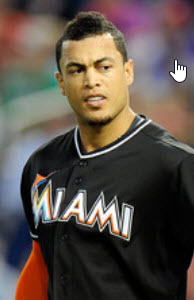 As long as we view Lugo as a backup option at short and second base, we’re carrying too many infield utility men. With Lugo, we’re looking at a rotating infield of Freese, Lopez, Lugo, Ryan, Schumaker, and most likely Mather…all for 3 positions that will more than likely have a designated starter. 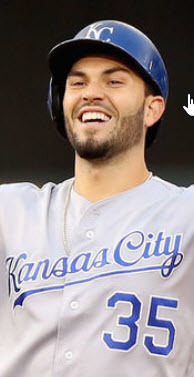 How ’bout we start viewing Lopez as our primary backup option at second, short, and third and move Mather more prominently into the third base backup discussion? Against lefties, leave Freese at third, play Mather at center, and slot Lopez at second. Hell…in a pinch, Craig can play third as well. The guy’s not great, but he’s played there for years. He can’t be THAT bad (and I watched him for a couple of them at AA ball). All of this opens a slot for a corner outfielder/pinch hitter like Stavinoha. So what does it come down to? Lugo. The man is hindering the roster. I like what he did last year, but that ain’t this year. We need to trade him and eliminate the log jam at the utility infield position. We’ve already touched on just about all of these, but let’s do it again. First, Nick isn’t the power threat that Craig and Mather are in any way. He can pop one, sure…but in his 14 hits, only 3 have gone for extra bases (2 doubles and a homer – 2 of which came today). Second, in 32 at-bats, he hasn’t worked a single walk. He knows walks are not getting him on this club. He’s up there to hit. Anybody can walk, but an RBI pinch-hitter is up there to swing the lumber. Third, his versatility is absolutely limited. With Ludwick, Holliday, Pujols, and a swarm of players at third manning his likely positions, starts will be few and far between. 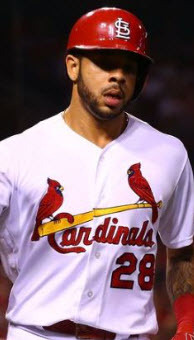 Finally, let’s just face it…Stavinoha’s upside and future career is not on the same level as Craig, Mather, or Freese. 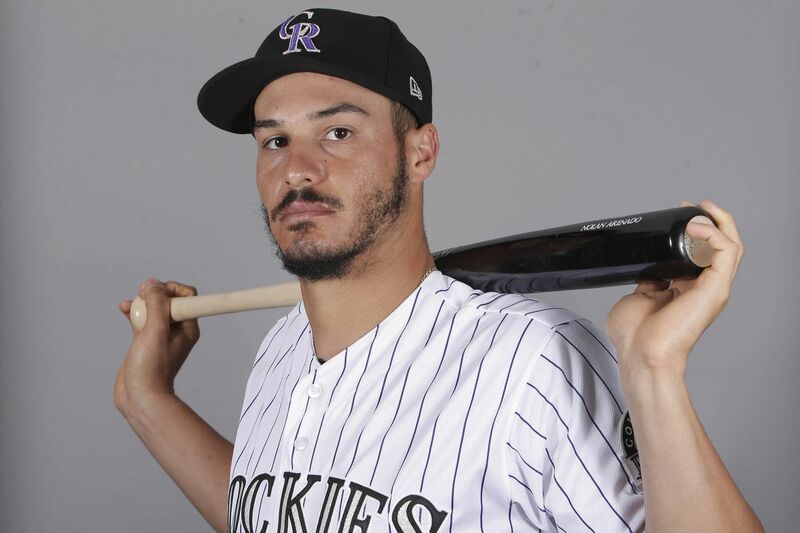 Mather carries a real possibility of someday working himself into a platoon outfielder for someone – if not more. Craig’s bat suggests a regular DH or corner outfield spot for several teams. But Stavinoha is always going to be a bench player. So investing in the future is a concern. Is it worth it for 2010…? Yes. We need a role player. We need a guy to come off the bench ready to get a hit. Nothing fancy…just get a hit. Stavinoha is showing that ability. Is he a long-term option for this club? Not really. Not in any significant way. But he is an option worth considering for 2010. With Lugo jammin’ up the works, it doesn’t look good. I know, I know…Brendan Ryan’s injury…but if Ryan can play, he’s fine. If he can’t, he’s DL’ed and Greene comes up to help out. Neither should affect Stavinoha’s shot to make the club. « Adam Ottavino: Bullpen Dark Horse…?